Simply stated, a bounce house is a large plastic structure, usually in the shape of a building that is filled with air and used for the primary purpose of entertainment for children of all ages. Every bounce house, castle, moonwalk, etc. is fashioned for fun while offering a side benefit of a healthy alternative to the modern sedentary video games so popular with the young set these days. Done Rite Party Rentals offers a wide array of bouncy inflatables, such as houses, castles, jump houses, moonwalks and water slides. Our inflatable bouncers are safely secured by our company pros and all party bounce equipment is cleaned and sanitized before and after each use. 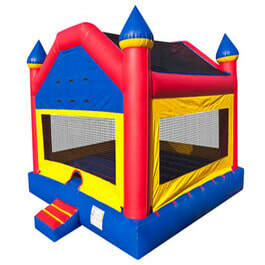 The use of inflatable bouncing play equipment has increased considerably throughout the last few years and our rental company bounce houses and inflatable water slides provide hours of fun-filled activity and age appropriate castles and moonwalks are available for any and every special occasion. The use of the term, bouncing, is self explanatory. We haven’t met a child yet who doesn’t relish the idea of jumping and playing, whether it be in a theme styled bouncy fort or princess castle. Done Rite Party Rental bounce equipment is a sure-fire child party pleaser. Our water slides come in various sizes and are a great source for cooling down in the hot Florida sun. Our rental bounce houses and moonwalks, as well as our slides and all other party jumpers are the answer to your party needs. Limit the amount of people that occupy the bounce house at the same time. Station at least one adult inside the jumper when children are inside. Remove shoes while jumping in bouncy houses and jumpers. Do not take drinks or food inside the jump houses. Please do not use chewing gum while inside the bouncers. While rare, silly string has been used on occasion in jumpers and bouncers. 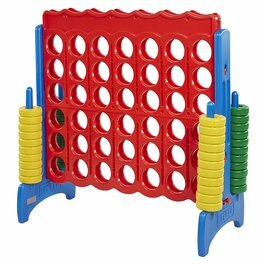 Please do not allow your guests to use this potentially dangerous product while playing in a bouncy house, castle or jumper. Of course, common sense rules out fighting and excessive rough housing. 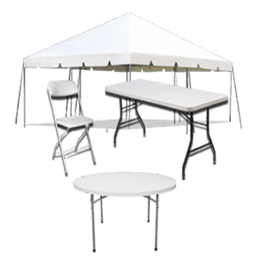 Done Rite Party Rentals recommend that you reserve your inflatable party bouncer about a month in advance of your event. We do request a deposit up front in order for you to reserve the bouncer moonwalk or jumper of your choice. Be sure to give our reps an accurate address and directions to the location at which a bouncy jump house is to be delivered. 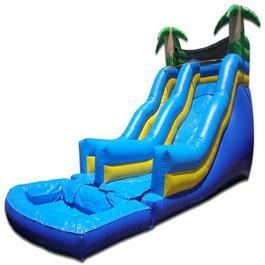 Give the desired time that you expect an inflatable jumper, slide or bounce house to be delivered and set up for use. Be sure that you are clear as to what party inflatable or jump house that you want. 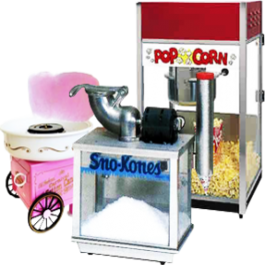 Due to the various types and names of our bounce house products, Done Rite Party Rentals company wants its customers to be completely satisfied with their inflatable and jumper selection.